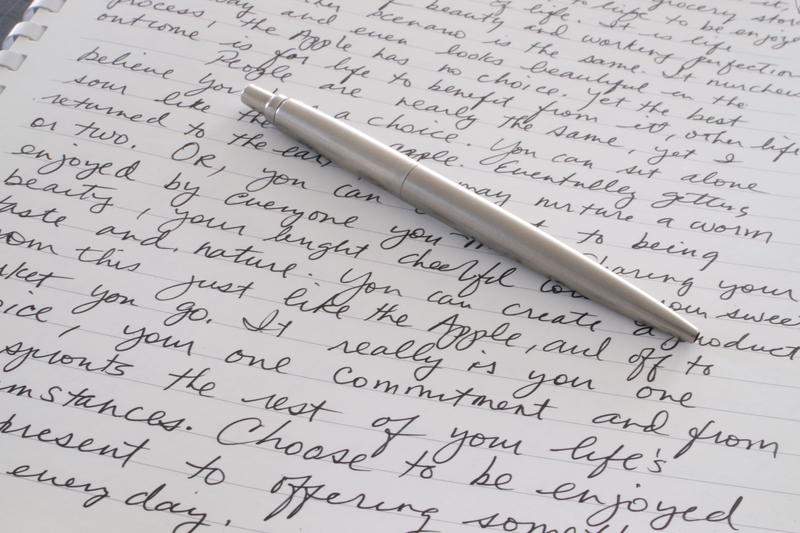 Visit this site if you need professional Marketing Management research paper help from experts! a) Before going into particulars of the process of market segmentation it’s necessary to define this term according to its direct meaning. So, market segmentation is the science of dividing an overall market into key customer subsets, or segments, whose members share similar characteristics and needs . Though market segmentation can be rather expensive due to serious market research, which it involves, it is essential tool for small companies with lack of source of raw materials, which will help them to enter large markets or produce a great variety of products for different small markets. With the help of market segmentation small businesses get the opportunity to produce goods appropriate for a comparatively homogenous type of market. Market segmentation is somewhere between mass marketing, when one product is offered to every customer, and one-to-one marketing, when a certain product is particularly manufactured for every single customer in a market. Doing market segmentation a company hopes to receive a share of market with similar customers’ requirements, and for this reason it tries to match the goods being produced and measures of marketing mix (goods, prices, place of distribution and methods of stimulation of customers) to the needs of a single or several segments of market. Generally speaking, a market segment is a set of customer characteristics (segmentation bases), which usually include age, gender, income, and geography or other features of customers conditioning their consumption behavior. It’s very important to hold a correct and effective market segmentation, which can open new opportunities to a company such as the development and production of a new product popular among customers. However, unsuccessful segmentation may cause a great loss of money due to its high price and bring no results . The first stage of market segmentation process is analysis, which is based on the supposition that consumers differ in perception, attitude and consumption behavior, but these differences are not “entirely idiosyncratic” . That’s why besides creating certain groups of customers, it’s also necessary to create subgroups inside them. Although market segmentation seems to be rather easy to implement, there are several important issues that are necessary to clear up. First of all it’s necessary to come up with several best criteria according to which a market will be divided into segments. If only one criterion is taken into consideration, for example age, then a company producing toys for children will not satisfy needs of either poor or wealthy customers, because financial position of its customers wasn’t analyzed while market segmentation. That’s why it’s more reasonable and effective to consider several criteria simultaneously. Let’s say that some company didn’t think about possibility of several factors serving as bases for market segmentation, and chose age as the main criterion; then there are some problems that will appear shortly after. Because every human being has its own aging process it’s impossible to foresee whether people of the same age will prefer the same kind of products. These differences are conditioned not only by biological age of people, but also psychological, social and spiritual age . Here’s an example to prove it. A famous automobile producer “Ford” used age as the main characteristic while creating a target market for its model “Mustang”. This car was made to attract young people preferring inexpensive sports cars. But soon after a company found out that “Mustang” became popular in all age groups, that’s why target market of “Mustang” appeared to be everybody who is young at heart. While market segmentation is being done, there are several criteria that are usually used. They are: descriptive, geographical, behavioral criteria and segmentation based on plans of future benefits. Descriptive bases of segmentation of market comprise a variety of criteria that describe the demographic and geographic situation of the customers in a market . This kind of segmentation is the most common, because it gives effective results concerning consumers’ requirements and preferences. Descriptive bases include demographic (age, gender, family size, income, religion and other factors), psychographic and income segmentation. For example, gender market segmentation has been very effective for automakers, which started to produce so-called “feminine” cars. Psychographic segmentation is the process of division of market into several groups according to social class, lifestyle, or personality characteristics. People in different segmentations can have very different psychological composition. Successfully segmented markets based on personality characteristics are markets of cosmetics, cigarettes, insurance, and liquor. An example of psychographic segmentation was Honda’s campaign for its motor scooter, which was targeted to be popular among everyone who is trying to be stylish in any age group and any gender. Income segmentation is dividing market into certain income groups. This type of segmented market has been common at the markets dealing with automobiles, boats, clothing, cosmetics, financial services, and travel. Income segmentation is usually noticed when analyzing area in which a store is located and what items it sells depending on general income of the area. Behavioral bases of market segmentation very often are more complicated in evaluation while being better a source of information concerning consumers’ preferences. “They include those underlying factors that help motivate consumers to make certain buying decisions, such as personality, lifestyle, and social class. Behavioral bases also include factors that are directly related to consumer purchases of certain goods, such as their degree of brand loyalty, the rate at which they use the product and need to replace it, and their readiness to buy at a particular time” . For example, “Colgate” has found out that brand loyal consumers in the USA are mainly represented by large middle class families and people who are very concerned about their health. The last type of market segmentation bases is benefits segmentation, which is a division of market base on benefits which consumers hope to receive from purchasing certain goods. This market segmentation approach differs from the previous ones, because it is based on the idea that different market segments are there because consumers look for different benefits from goods, but not only because there are differences in characteristic features between consumers. As we’ve spoken about criteria that are used in market segmentation it’s necessary to mention that it’s more useful and profitable to use a combination of these criteria rather than a single one, thought it might be easier to do, but less accurate . Besides market segmentation bases, there are some factors that should be taken into consideration while determining the usefulness of a market segment to a company. The first factor is the size of market: it should be large enough to be segmented, there’s no point in segmenting a small market. When the market is already segmented it’s necessary to come up with special marketing communication that will help address the needs of consumers belonging to different segments. Unless a company is able to create a special system of promotion of goods and advertising in each separate segment, market segmentation won’t be useful, because customers might lose their interest in goods of a company. Before doing market segmentation it’s necessary to learn demand in order to find out whether customers preferences vary while consuming certain goods. Once segments have been identified, they must be appropriately grouped and managed . However, market segmentation based on customers’ characteristics is not the only one. It is also possible to do market segmentation of needs. To do this it’s necessary to establish what the need is and who is most likely to experience that need. The segmentation will be determined by a match between the benefits offered by your offering and the need of the prospect. .
b) Product Life Cycle (also known as abbreviation PLC) is a number stages of development and decline through which a successful product typically moves . Product life cycle normally consists of four states, with the main characteristic feature expressed by the revenue yielded by the product. So, four main stages of PLC are Introduction Stage, Growth Stage, Maturity Stage and Decline Stage. The duration of the whole PLC and of its every stage differs, which is conditioned by certain changes in marketing mix. The concept of product life cycle (PLC) associates product sales volumes over time with different competitive conditions which are categorized into the four stages of introduction (innovation), growth, maturity, and decline . The best description of Product Life Cycle is done with the help of a graph showing revenue and profit gained by selling a certain product. As it can be seen so-called “life of a product” begins with its development, which is an incubation stage, when a firm is just preparing to introduce the product. The second stage is Introduction, which is self-explanatory and consists of introduction of a product to the potential customers. The next stage is Growth, which is a stage when a company experiences revenue growth due to the increase in product sales. The following stage is Maturity, which is normally the most profitable period; during this stage sales continue to increase, but at a lower speed. And the last stage is Decline, during which a company experiences sales decline, because of the market being saturated, product becoming obsolete, and customers having new preferences. There are a lot of evidences that product price declines over the product life cycle . As it has been mentioned the length of the whole cycle and separate stages differs and very much depends on marketing for a product. To prove this I’d like to speak about Introduction and Maturity stages of PLC and find out differences in marketing at these both stages. The main point of Introduction Stage is to introduce a product to the population in order to attract new buyers. However, the sales will be low until customers get to know about the product and its benefits. “This is known as the “pioneering ing” stage of market” . There’s a possibility for a firm to announce this product before it’s introduced, or just start advertising it as soon as its introduction stage begins. Though costs of advertising are normally rather high at this stage, they appear to be the most effective, because advertising very quickly increases customers’ knowledge about the product and attracts the early adopters. It’s also important to spend enough money for effective distribution of a product. That’s why at the Introduction stage company gains negative profits due to the expenses being rather high and sales volumes being rather low. Growth of market share is the overall business strategy of the introduction stage . However, there’s another important goal of the Introduction stage, which is to build primary demand for the product category. Demand uncertainty is at maximum during the introduction stage and decreases uniformly reaching a minimum at the decline stage. As demand uncertainty decreases, the supply chain strategy evolves from responsiveness to efficiency . On the contrary, during the maturity stage profits are at the highest point, because sales still continue to grow, customers’ awareness of the product is strong and expenses for advertising are already reduced. However, competition with other firms may cause the decrease of market share or reduction of prices. Maturity stage is evident when competitors begin to leave the market, sales velocity is dramatically reduced, and sales volume reaches a steady state . Product. During Introduction stage a company introduces one or a few products, which are relatively undifferentiated, while at the Maturity stage a product can be modified and some new features can be added to it in order to distinguish the product from products of a company-competitor . It’s not effective to introduce a great variety of products at the Introduction stage due to the high level of demand uncertainty. to do skimming of excess profit, because “the early adopters buy the product and the firm seeks to recoup development costs quickly” . Some companies choose market penetration pricing, when the prices are set low in order to receive market share promptly. During Maturity stage there’s a possibility to reduce prices in reply to competition, but it’s necessary to be careful in order to avoid price war. Distribution. At the Introduction stage product distribution is rather scattered and selective, because companies only start to implement their distribution plan. Because of low sales volume and high demand uncertainty of the introduction stage, products are warehoused in fewer distribution centers (DC) which, adversely affects supply chain responsiveness. The supply chain strategy of responsiveness of the introduction stage is achieved by implementing quick response transportation modes such as direct shipping from the production site or from the distribution centers . However, during Maturity Stage company may establish new distribution channels and price incentives to retailers so its product doesn’t loose shelf position. Promotion. At the Introduction stage the main goal of promotion is building brand awareness and convincing potential retailers to sell the product, while at the Maturity stage a company main emphasis should be to build brand loyalty among the customers, and to convince competitors’ customers to switch over to its products . Having spoken about the differences in marketing mix at different stages of Product Life Cycle it’s necessary to mention that not all products or services go through every stage of PLC. This very much depends on marketing. Poor marketing often results in only two stages of PLC: Introduction and Decline, however, successful marketing mix leads to successful and rather long life cycle of a product . 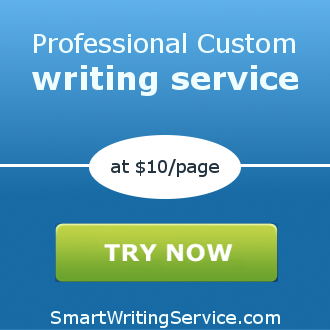 For ordering a custom research paper online, don’t hesitate to visit https://smartwritingservice.com now! Stephen H Craft. “The International Consumer Market Segmentation Managerial Decision-Making Process” SAM Advanced Management Journal, 2004.